This drink is best when you pour syrup up one thirds of the glass, add some ice cubes and lemon wheels, and then dilute it with water or soda. This is one of the best refreshing drinks. The syrup can be used in any cocktail or highball, too. Gin, rum, whiskey or vodka are very fine with this. Your drinks get a slight menthol taste. Put 500 g sugar and 1 dl water onto a large ovenpan. Heat and boil it and make caramel. Pour 2 liter water to the caramel, heat it until soluble. Add the rest of sugar and dissolve it. Let it cool. Add the lemon juice, citric acid to the syrup. Put the bunch of mint too and soak the mint for 24 hours. Filter the syrup and boil it again for about 2-3 minutes. Fill syrup in clean bottles and screw on their caps. Wrap them with few blankets and pillows. Let them cool slowly in bundle. The syrup is edible for months. 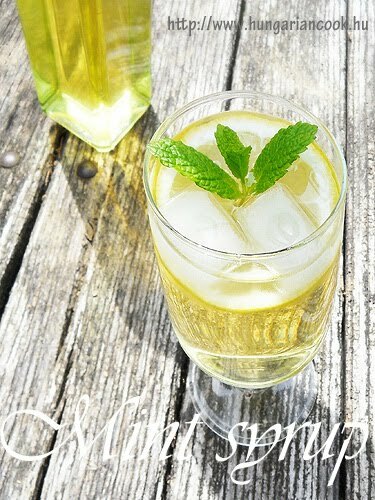 0 megjegyzés ehhez: "Mint syrup"